I've been experiencing some difficulties on my blog lately. I don't know what it is...but I have not been able to upload pictures, and I have literally been trying to upload pics since last week. Now that I have found a new way to upload pictures, I just decided that I would share a small part of my day with you. Yes, as much as I often complain about bath time, it really is one of the sweetest moments of my day. Probably should stop that complaining. how could it not make you smile back?? 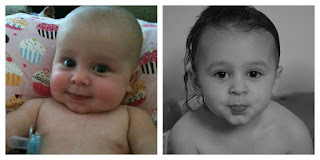 when I took this picture of Eloise on the right...I immediately though of the picture on the left..taken of her as a baby. Where has this baby gone?? I know it has been quite some time since the last time I posted. 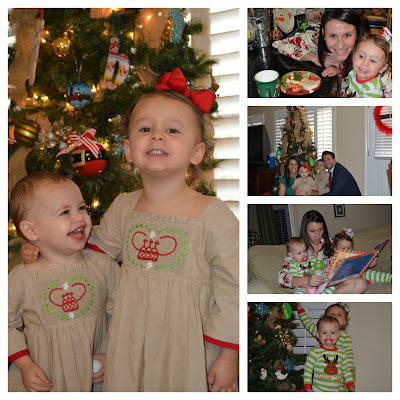 In my defense, it WAS the holiday season, and we WERE making a lot of memories and having so much fun! I could have posted around 600 pictures...that would do our holiday season justice....but, I decided to make little collages, that I know are hard to see, so that my post wasn't overloaded with pictures. This place really IS Santa's Wonderland. It is located right outside of College Station...if you live anywhere close to it, please go. It was amazing...the lights are spectacular and there are so many activities for the kiddos. Petting zoos, roasting your own hot dogs, smore's, Frosty the snowman, bands playing, Christmas movies going...it was incredible. We WILL be going next year, without a doubt. Surprising Eloise with tickets to go see The Nutcracker. My sister and I went with Eloise, we took her on her own little date. We ate at an Italian food resturant, and she was such a big girl. She was interested the entire production, and next year we will be getting tickets a little bit closer. It was probably the greatest thing I have done with her so far, as her mother. I LOVE our Christmas Eve service...we go to a service where the children are allowed..
Christmas Day was spent with just the 4 of us, and it was wonderful. We spent the morning opening up presents, we played outside with the girls' new toys, and then we had a fabulous dinner of turkey, mashed potatoes, cheese, salad and wine. 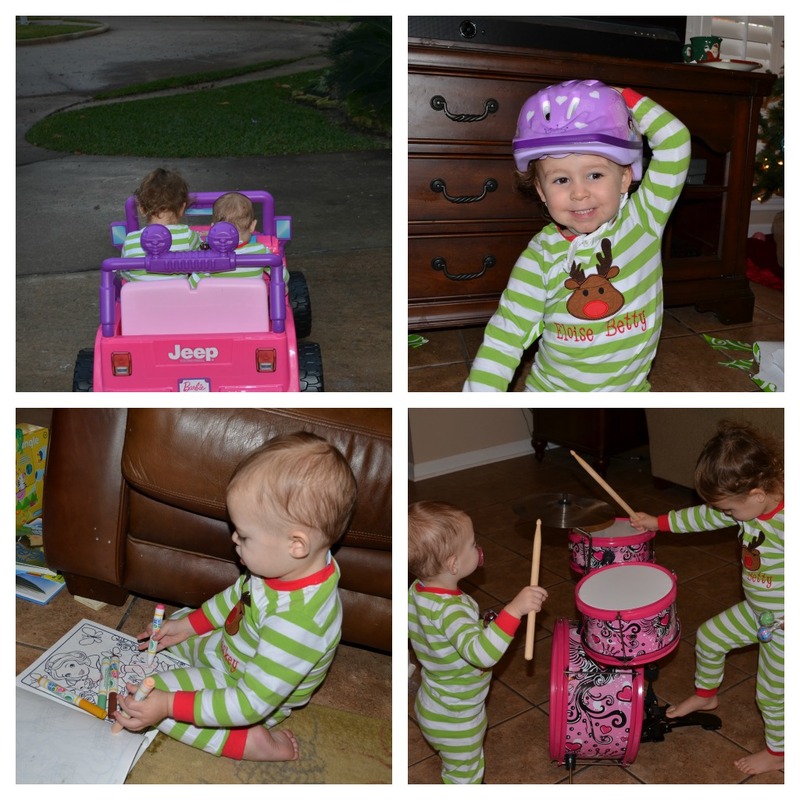 The girls favorite gifts were the Barbie Jeep, Eloise's helmet, Emerson loved her markers and coloring books (and her A-Z zoo) and the drum set. 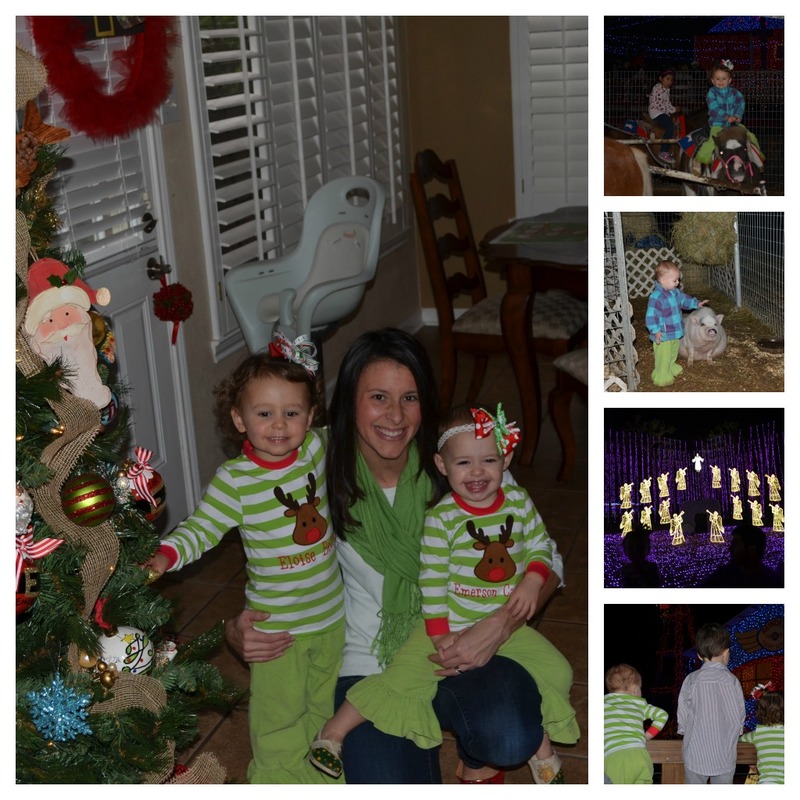 We were able to experience snow, build snowmen, make snow angels, hang out with family, and just enjoy being together. We left to go to Dallas on Saturday where we rang in the New Year with my mom. My sister Poco and her fiance' and my brother and sister in law and sweet little nephew, decided to come up as well....we were just missing my older sister and brother in law who are in North Carolina. 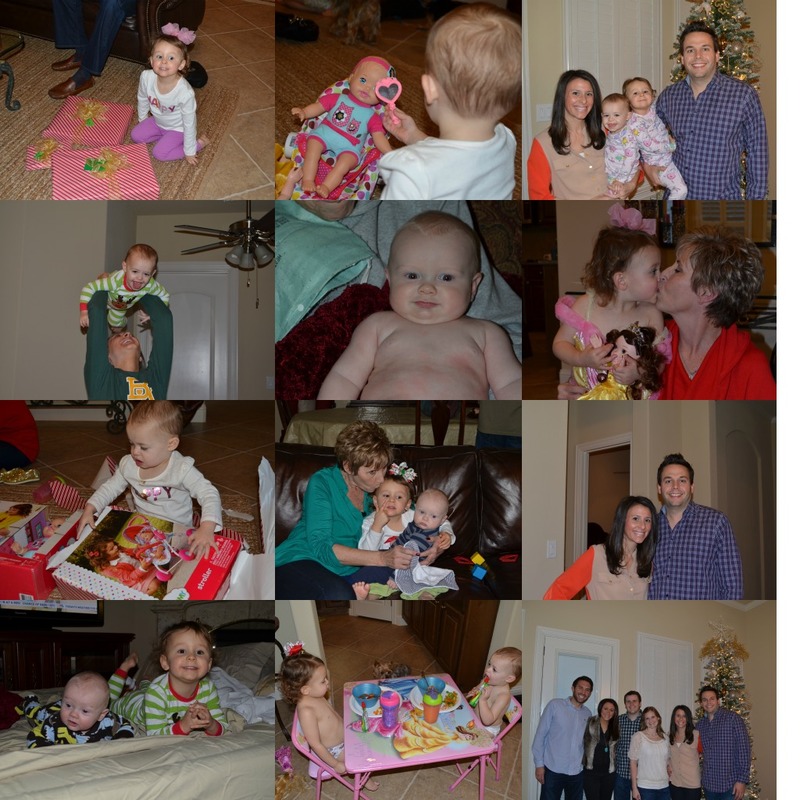 All in all we ended the year making wonderful memories and ready to start a new year making even more special moments. I know 2013 will be memorable. I can't wait to see what God has in store.